Koay Su Ling has experience in a diverse range of corporate exercises such as mergers and acquisitions, joint ventures, initial public offerings and reverse takeovers, and has also involved in corporate exercises of public listed companies such as rights issue, bonus issue and employees’ share scheme. She also advises on commercial agreements as well as legal and regulatory compliance and has experience in conveyancing matters including sale and purchase of real properties, tenancies and bank loans. Koay Su Ling served her pupillage at Shearn Delamore & Co. Kuala Lumpur from October 2009 to July 2010 and was subsequently retained as a legal assistant in the Corporate and Commercial Department of Shearn Delamore & Co. Kuala Lumpur. 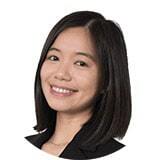 She joined Zaid Ibrahim & Co Penang as an Associate in October 2011 and was made a partner in 2018. Master of Laws in Advanced Legal Practice (Commendation) (2010) and Bachelor of Laws (First Class Honours) (2008) from Northumbria University, United Kingdom.